Ujjain is famous pilgrim city located in Madhya Pradesh state in India. It is one of the popular tourist towns where people visit for the religious purpose. To manage the inflow of transport Ujjain RTO is established. It's governed by the transport commissioner. Ujjain RTO got operational for the enactment of motor vehicle act of 1988. All its functions are executed to ensure adherence of the applicable laws. 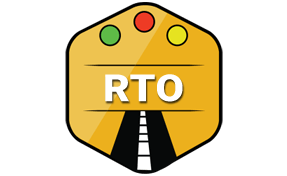 Ujjain RTO is also responsible for the smooth flow of traffic and transport in the city. Legitimate action to penalize traffic lawbreakers. Controlling the driving schools in Ujjain. Granting permits to tourist vehicles. Managing the learning licenses, driving license & license renewal process in Ujjain. RTO in Ujjain ensures all steps are followed by the people to get the driving license. After verification of all the details, driving license is issued within a day. Creating the database for all modes of road transport in Ujjain. Online management of information related to Ujjain RTO. Managing & scheduling all the appointments online. Resolving the query of individual related to RTO in Ujjain. Appropriate action to control traffic pollution. Issuing pollution & vehicle fitness certificate after checking it's roadworthiness. Granting permission to commercial fleets. Timely checking of vehicles to ensure possession of mandatory papers. Authorised to collect fine from people not following the traffic or transport rules. The Regional Transport Office (RTO), Ujjain, Madhya Pradesh.